Dichondra Dichondra Repens is a warm climate, perennial ground cover plant. 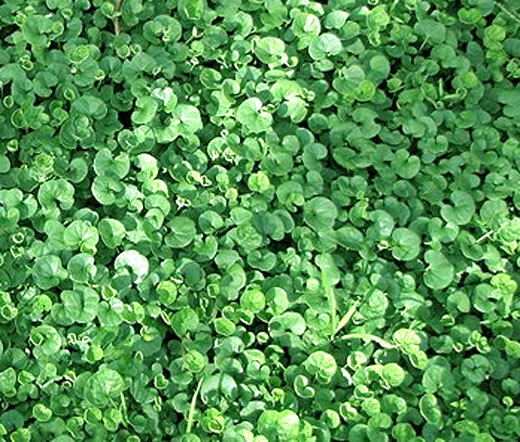 Dichondra bulk seeds are a very economical way to start a dichondra lawn. Also known as Kidney Weed, Lawn Leaf, and Dichondra Pony Foot, this low to the ground plant forms very dense, bright-green carpet of clover-like foliage with broad circular leaves. 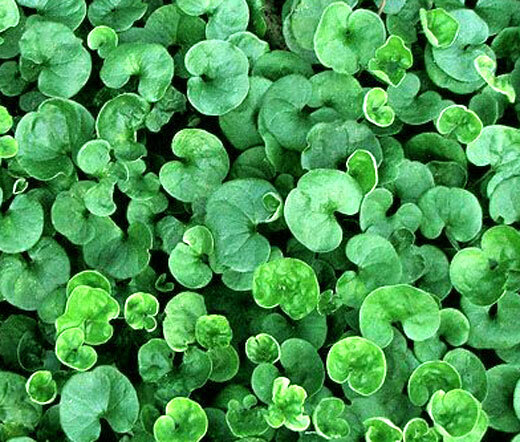 Dichondra is the creeping, upright growing ground cover that grows only 2 inches tall, and it can be mowed for the best appearance. Dichondra is often grown as a lawn alternative when a regular lawn care cannot be provided, because since Dichondra reaches only 2 inches in height, it is not necessary to mow the lawn. It is easy to establish this dependable, light foot traffic tolerant, perennial ground cover from Dichondra Repens seeds. Spreading by under ground runners Dichondra adapts to various soil types and prefers to grow full sun or light shade.